Watching the horse move will be a big part of a veterinarian's evaluation of a possible prospect. If you’ve bought a horse that represents a significant economical investment to you, it’s likely you’ve utilized a prepurchase exam in the process. Many of us have because it is a wise decision. But do we really understand the exam’s limitations? A prepurchase exam is a thorough and complete physical and soundness examination done on a horse by a veterinarian before that horse is purchased. They are utilized because buying a horse can be a difficult decision. 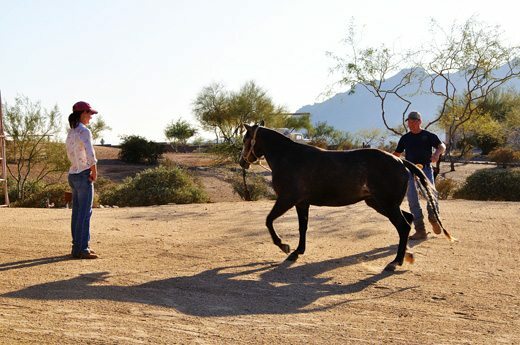 Horses don’t often come with a “100% satisfaction or your money back-guarantee.” Prepurchases help to gather information about the health of a specific horse to assist the buyer in making an informed decision about the purchase of that horse. They attempt to identify current problems and interpret any findings in relation to the intended use of that horse. The exam also helps to reduce the risk of buying a horse. However, on that note, a prepurchase exam is like a still picture. They provide information about a specific horse, on a specific day. Therefore, there is no guarantee that the horse will remain sound, healthy or functional in the future. Plus, prepurchase exams have different levels of testing that go up accordingly in cost and must be decided upon by the buyer. Despite the fact the veterinarian is working for the buyer, it is still the buyer’s responsibility to make the purchase decision on their own, using the findings of the vet. There is no “pass” or “fail” when it comes to the veterinarian’s perspective on a specific horse, thus, the decision to buy a horse is up to the buyer and the buyer alone. • Use your regular veterinarian, or one you trust the most. If you don’t have one, choose a vet that is very familiar with horses and if possible, familiar with the breed you want to purchase and sport you intend to participate in. • Explain to your vet what expectations you have for the intended horse. These may include being a show animal or breeding horse, down the road. • Speak to your vet about the specific tests that might be required to help you purchase the horse of your dreams. Outline what the costs will be for each. • Be present at the exam so the findings can be discussed as they are identified and questions answered, while they are still fresh in your mind. 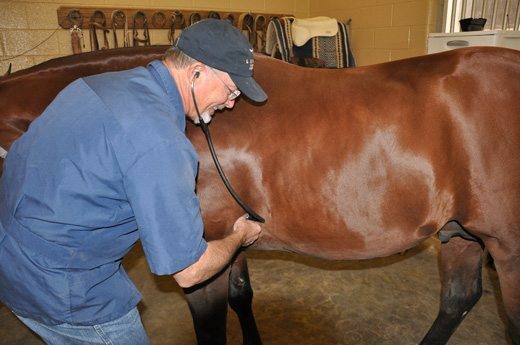 Above all, always remember the role of a veterinarian in a prepurchase exam is to determine the health status of the horse together with medical abnormalities. This being said, veterinarians are expected to explain and record any medical abnormalities/concerns revealed while performing the exam. They are not, however, guaranteeing the soundness of the horse.